size: 20 x 32 in. 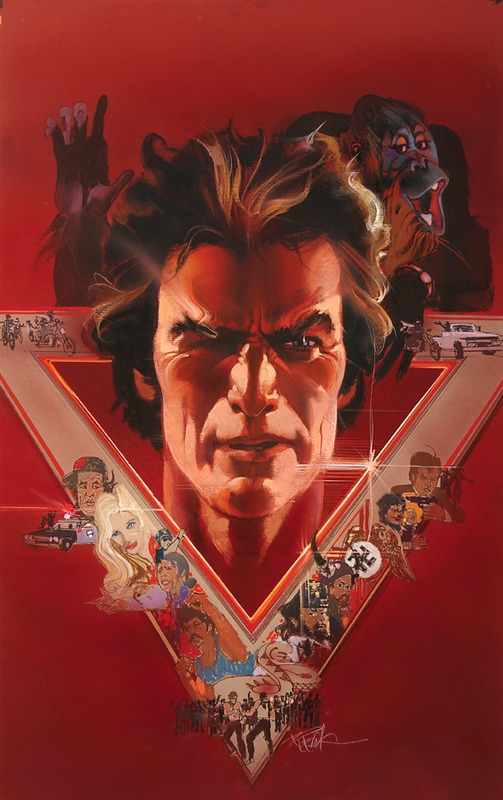 Original movie poster comp art for Any Which Way But Loose, by Bob Peak. Clint Eastwood and his monkey.